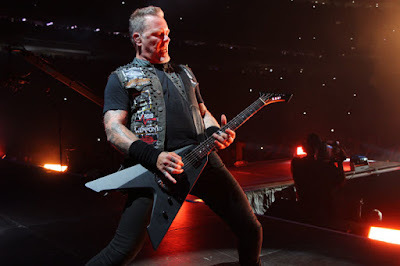 Metallica are sharing a performance video of their 1991 classic, “Sad But True,” from an August 20 show at the new U.S. Bank Stadium in Minneapolis, MN. hennemusic delivered the Minneapolis show live as Metallica headlined the first rock concert at the new home of the Minnesota Vikings before a reported crowd of 50,000 fans. Due November 18, the two-disc set was produced by Greg Fidelman, James Hetfield and Lars Ulrich and presents a dozen new songs and more than 80 minutes of music. Metallica will officially launch the first leg of the Hardwired world tour in San Juan, Puerto Rico on October 26 as part of a series of dates in Latin America.